Watch live streams from all over the world with bet365's Live streaming service. With access to over 100,000 live sporting events each year, you will catch all the best action from Football, Rugby, Snooker, Basketball, American Football and much more. Live Streaming is free of charge. However you must have a funded Sports account or have placed a bet within the last 24 hours in order to view bet365 streams. You can watch Football on Sky Sports without a contract by signing up to a NOW TV Sports Pass! NEW! Mobile Month Pass - For just £5.99, access Sky Sports channels on your smartphone for a whole month. Day Pass - For £8.99, watch all 10 Sky Sports channels for 24 hours. Week Pass - For £14.99, watch all 10 Sky Sports channels for 7 days. 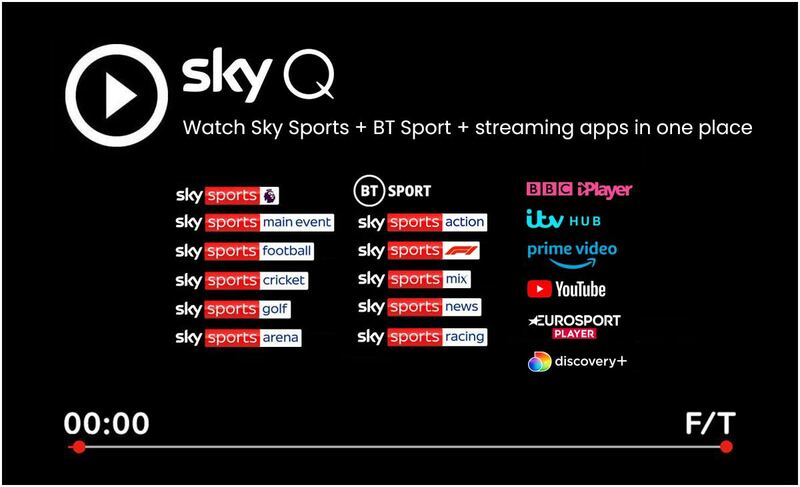 Month Pass - For £33.99, watch all 10 Sky Sports channels for a full month. Sign up to BT Broadband and get access to BT Sport for as little as £5 per month. With access to over 40 Premier League matches, and hundreds of live football matches from the top leagues in Europe, BT Sport boasts a huge amount of live sporting action in the UK. You can also get BT Sport at a discount as part of your Sky or Virgin Media subscription package. WherestheMatch.com holds no responsibility for any match information that is incorrect. Whilst we do our very best to make sure our TV Schedules are accurate, users should always check with the official broadcaster for confirmation of the upcoming live match or event.